Sticking with the dust theme from Tip #1… The inside of your dust mask can become very wet, owing to the high moisture content of your breath. My tip? 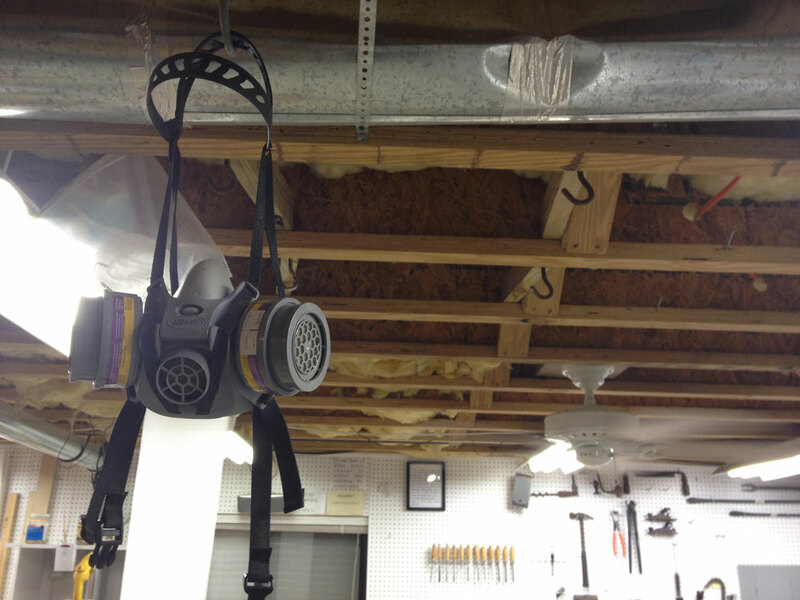 Install a hook in front of the outflow side of your ceiling-mounted air filter or air-circulating fan. 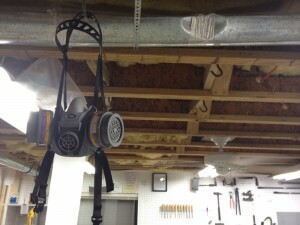 Hang your mask in front of it with the inside facing the air flow and it will be nice and dry the next time you use it. Free mask drying here! Every time you turn on the air filter the moist inside of your mask is dried automatically. You have to use your imagination a bit. This is the mask’s usual hanging place and the filter’s usual mounting place. However, I currently have it on a rolling stand while we’re having new wood floors installed in our living room. I’m thinking of leaving the dust filter on this cart, as it’s now closer to “nose level” and may be more effective. If so, I’ll have to rig a new hanging place for the dust mask. 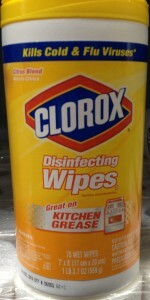 If the mask develops a sour smell, indicating mold and mildew are growing there, wipe it out with a Clorox Bleach Wipe or a paper towel wetted with vinegar, then allow it to air out thoroughly before reusing. Clorox wipes have just the right amount of chlorine to kill the smell but not leave chlorine fumes the next time you wear your mask. 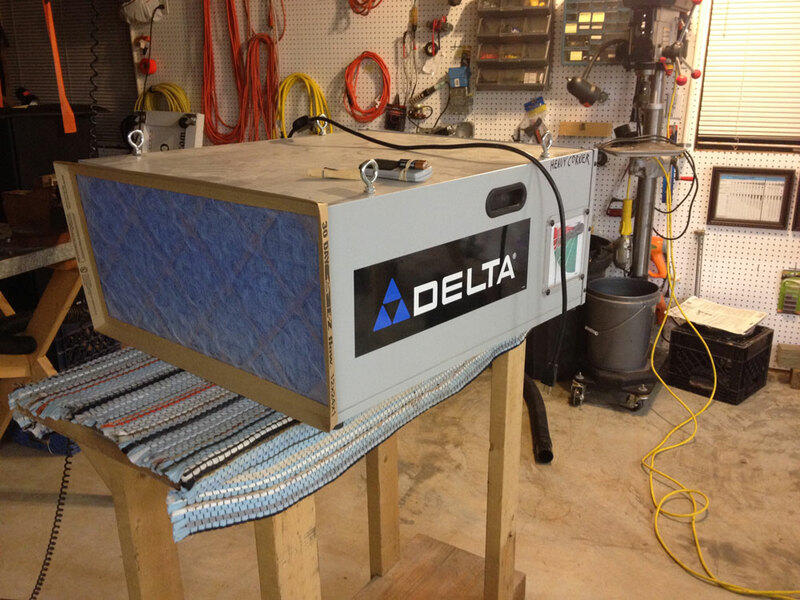 Regarding this tip on keeping your dust mask dry, clean and sweet-smelling with nearly zero effort, retired safety engineer, John Cole, was nice enough to send this suggestion from industry. We are always grateful for readers who respond with helpful comments. Photos are always great, too! 2014 Holiday Wish List – Terry Chapman Why did I need a “Roubo Frame Saw”?